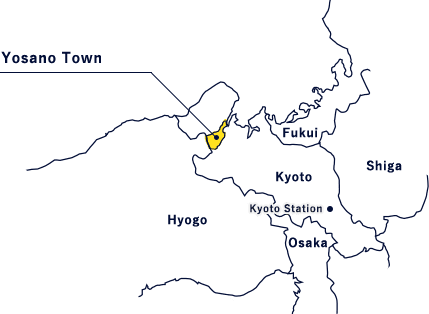 which is situated in the northern part of Kyoto Prefecture in Japan. 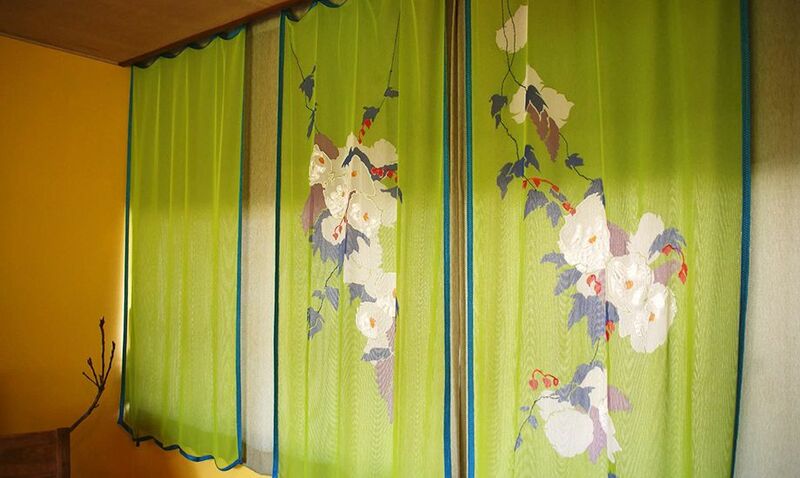 with a famous tango chirimen crepe silk culture that boast a 300-year history. its foothold in recent years. precious traditions will live on into the future on their own. from our experiments and trials . for the textile industry moving forward. our trials and tribulations and for the future of our local industries. 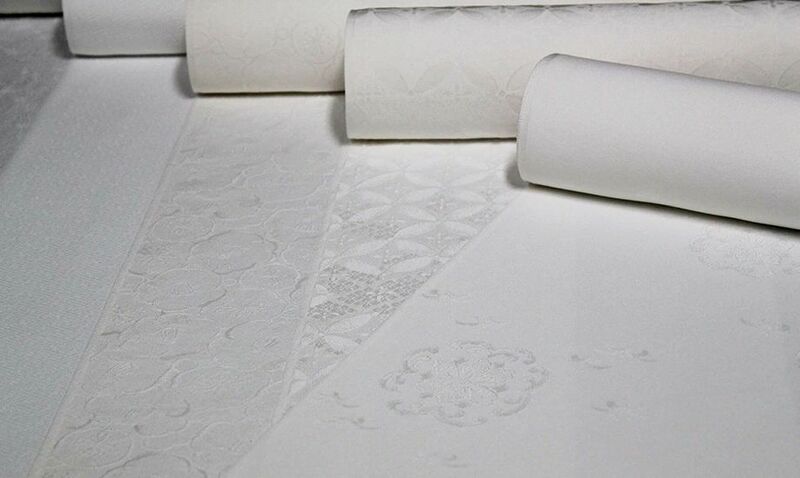 we may be able to create new opportunities and add new value to the textile industry. Let’s give it a go, together! 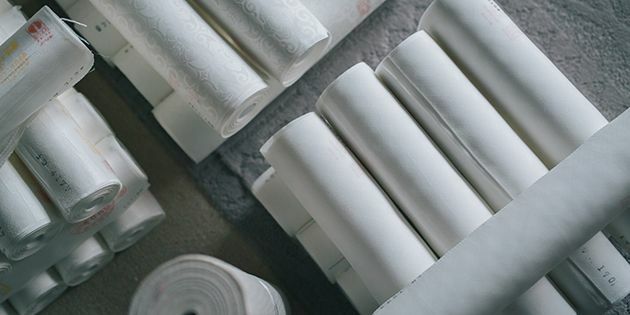 Share stories on our family history, professional motivations, and earnings. 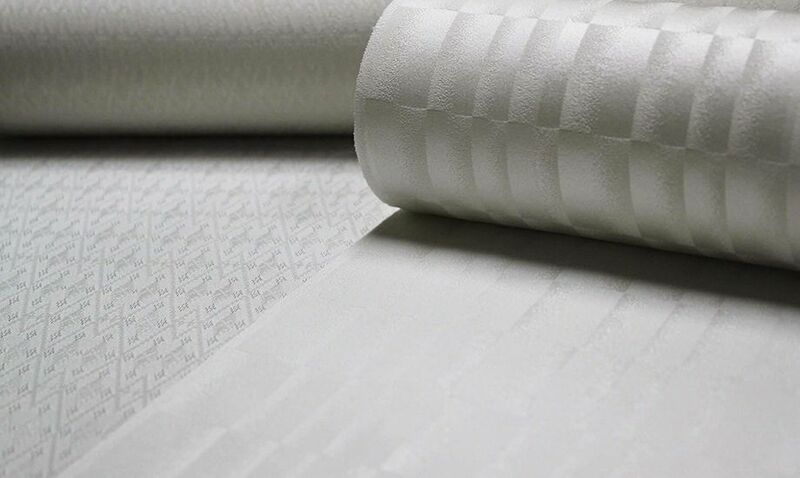 Talk about our manufacturing processes, quality management, safety practices, and finished products. 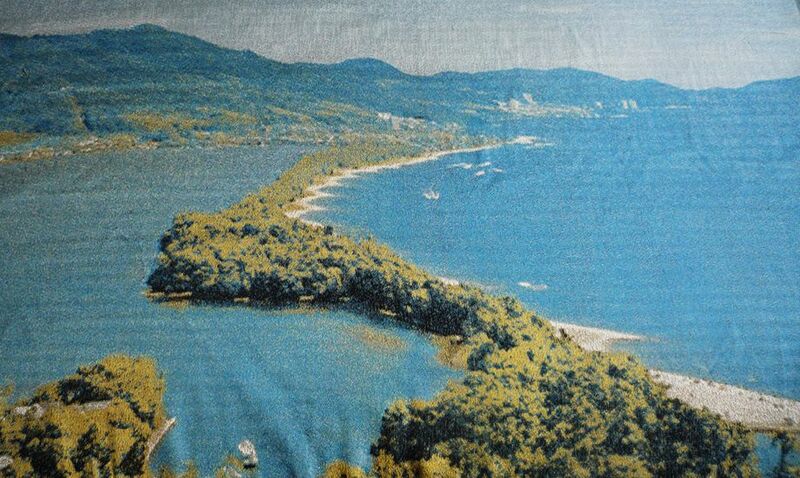 Talk about textiles and the local climate and aspects specific to our own production areas. Discuss about product flows, framework and timelines and the specific requirements as these aspects change. Talk about passing down the craft, and about the techniques that can/cannot be used now and in the past. 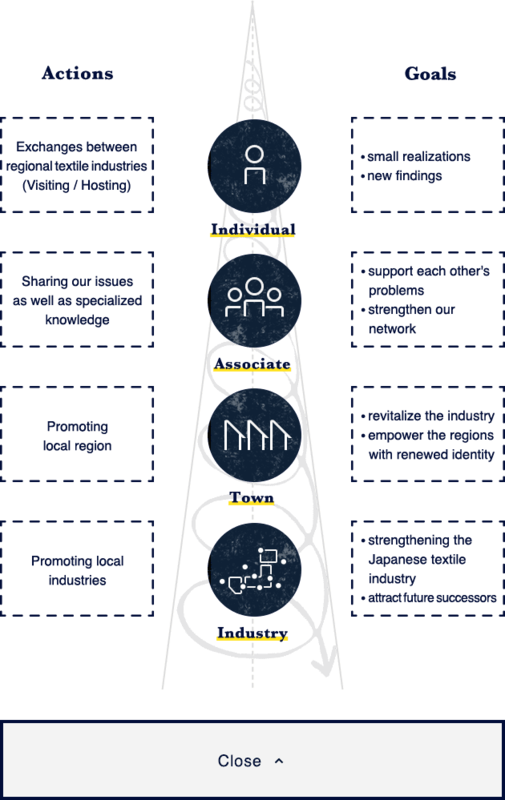 Talk about who is the point of contact with your town and region and important relationships outside of the textile industry. 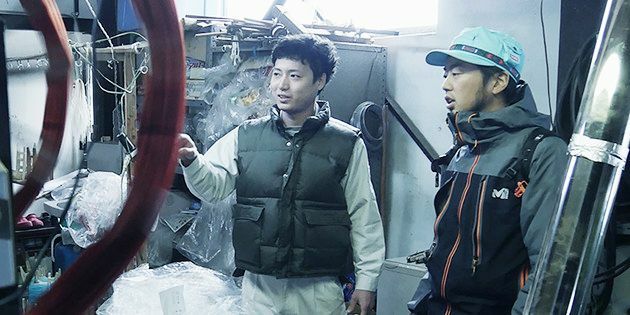 Share stories about passing on the trade to the next generation. Talk about the maintenance and procurement of looms and parts. Discuss new business opportunities, successors and sales channels including those in overseas markets. Talk about your local specialty alcohol, stores or scenic locations. I get all my missing parts made at the local ironworks workshop. 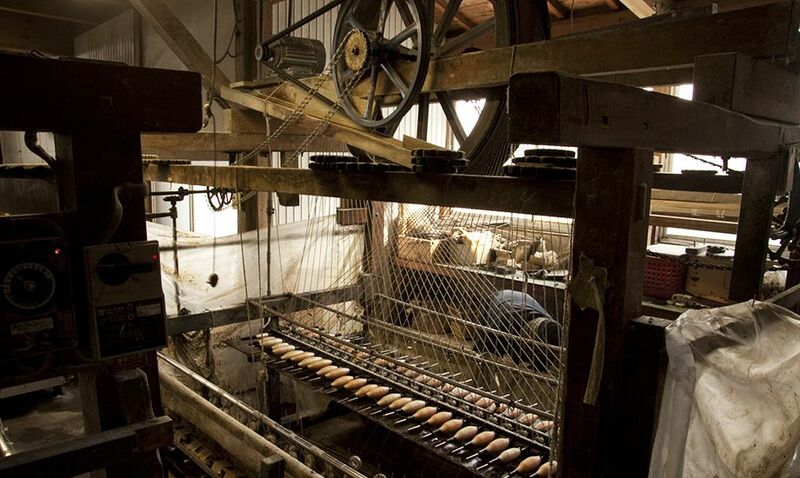 I guess an issue that will arise for us as we move forward is how we maintain our looms and equipment. That’s a challenge for us, but overall, I totally recommend this line of work. I’m the 4th generation of Koike weavers. 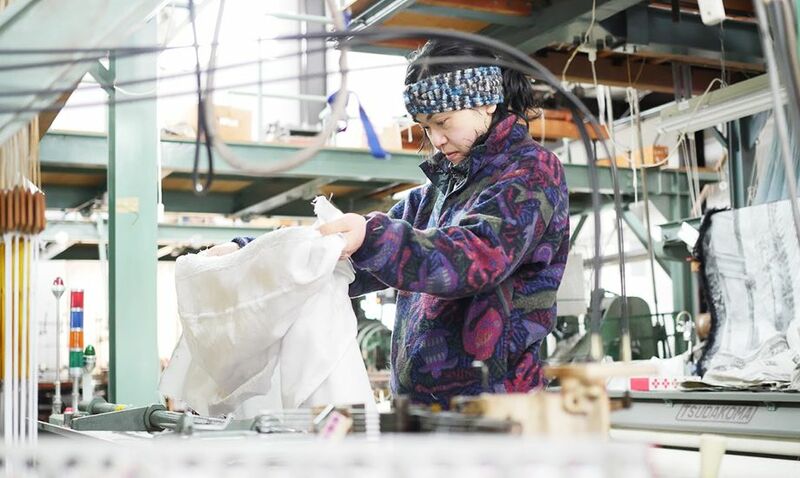 I spent six years at a well-established textile company in Kyoto City, before I decided to bring back what I learned to Yosano to explore new possibilities. I am really keen to talk with young weavers in other production areas to discuss how they are dealing with successor issues and to talk about their looms and local production areas, as well as how we can create opportunities to showcase the works of the next generation of young weavers. I’m a 3rd generation Haga weaver. 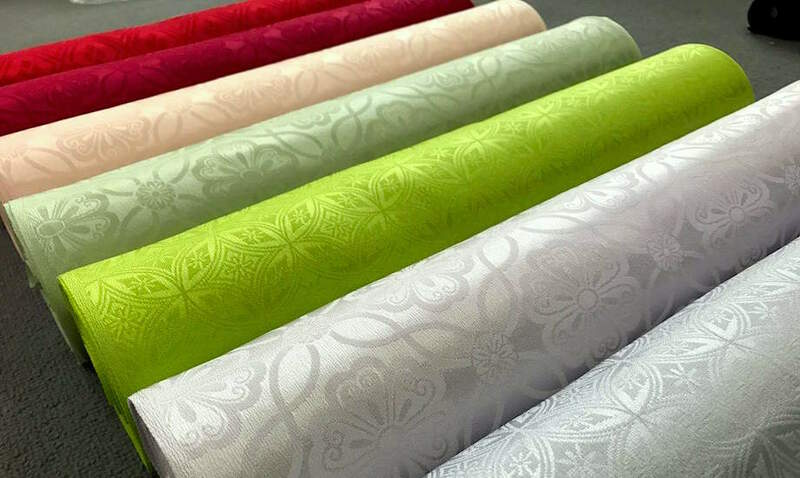 We produce jacquard silk weaves for products such as kimonos, undergarments for kimono, and dyed obi ties. 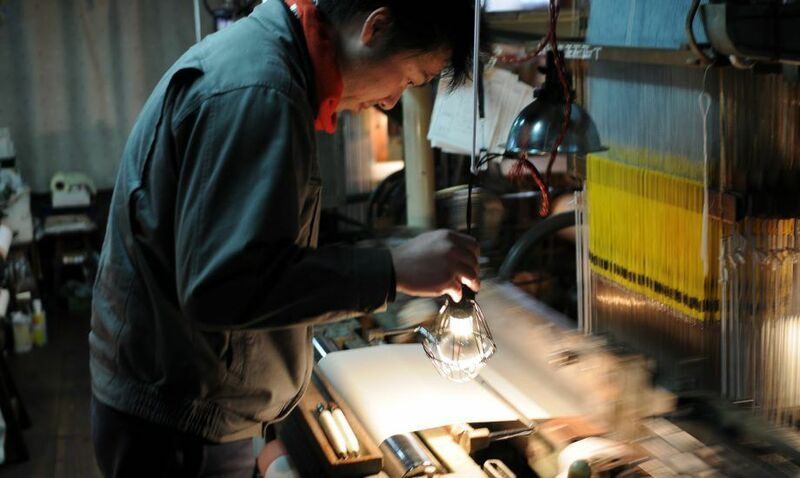 In 2014, I was certified by the Kyoto Prefectural Government as a Kyoto Certified Craftsman. 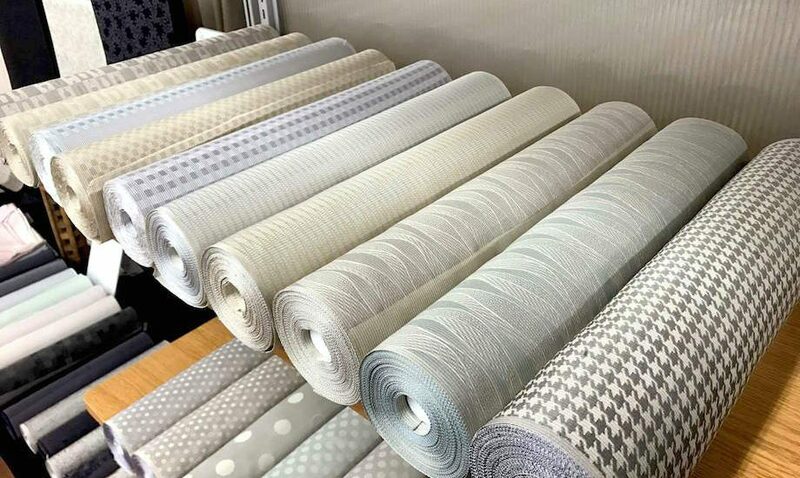 For textile producing areas, I think there are opportunities in offering small lot orders and made-to-order requests. I wonder how developed other areas are. I think Yosano has a great deal of potential. I moved to this town in June 2015 as part of a movement to revive the region. 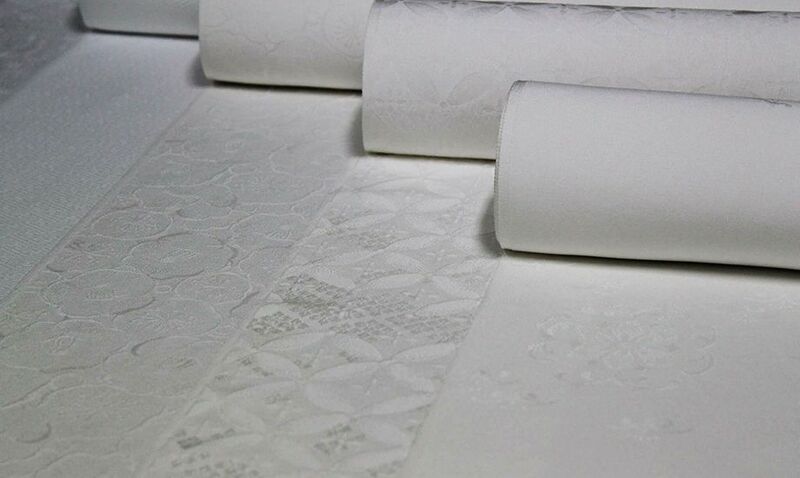 At the same time, I launched my interior textile design business. 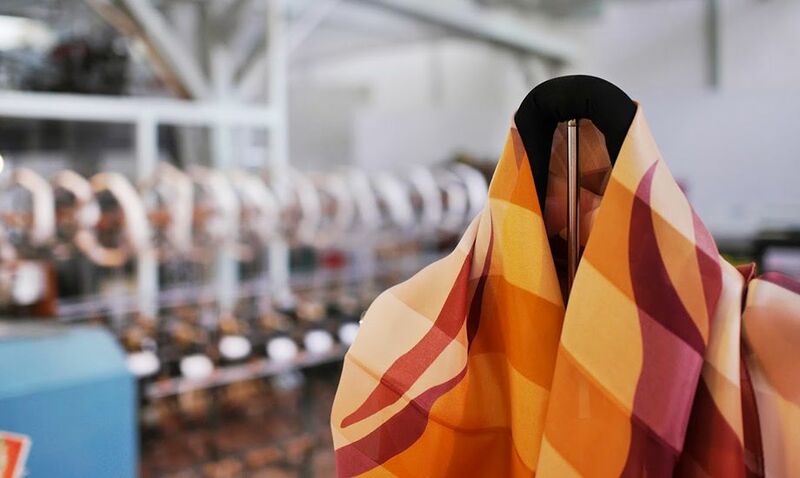 I participate in one of the community activities at the textile skills training center, and I am undergoing training for everything from business organization development to design techniques. I bet if we tried we could have buyers all over the world. There’s no limit to what we can do. 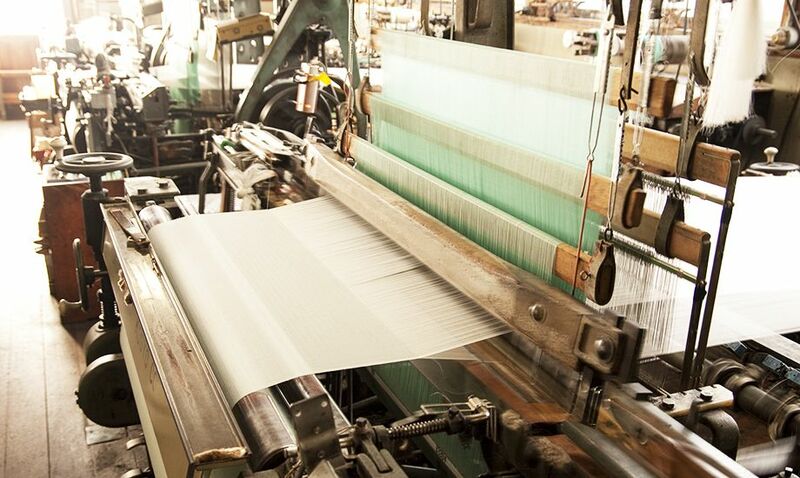 For warp weave, we can weave with 3 or 4 warp threads, thick or thin… you name it! No matter what the order, if it fits through the reed, we can do it! 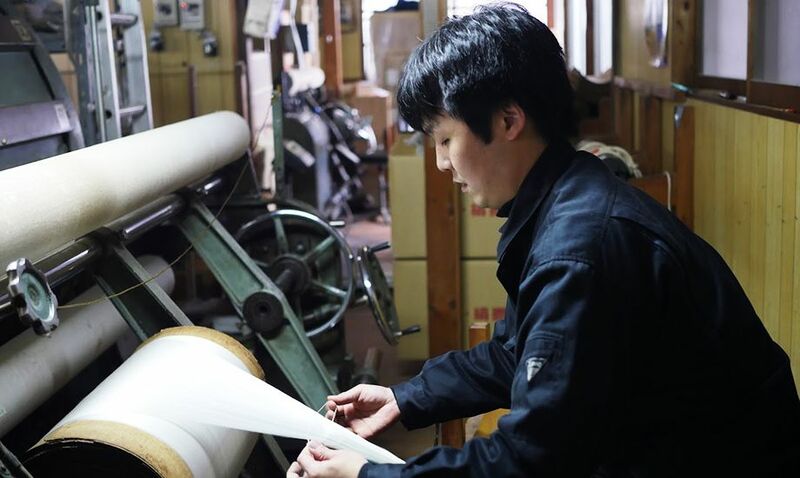 Imai Warping Factory was established 50 years ago. 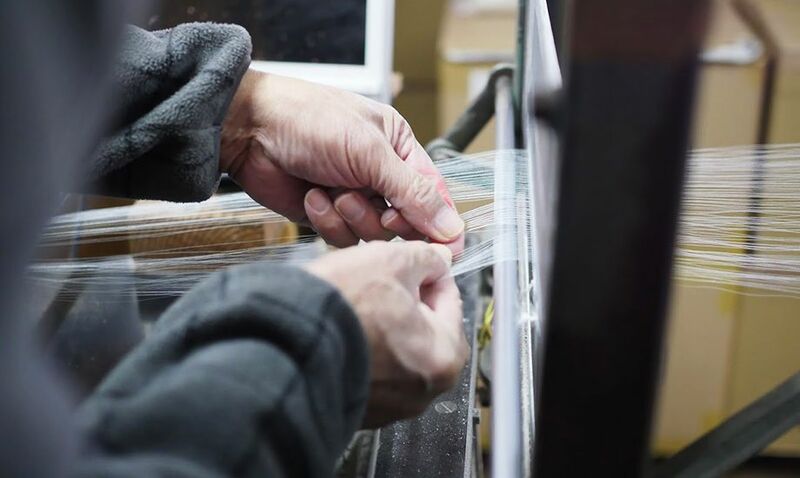 We started out as a weaving warp factory specializing in white textiles, but with the changing times we now cater to a whole range of bespoke warp weave orders. I hope that through this initiative, we can work together to pass on the craft as well as try out new techniques. 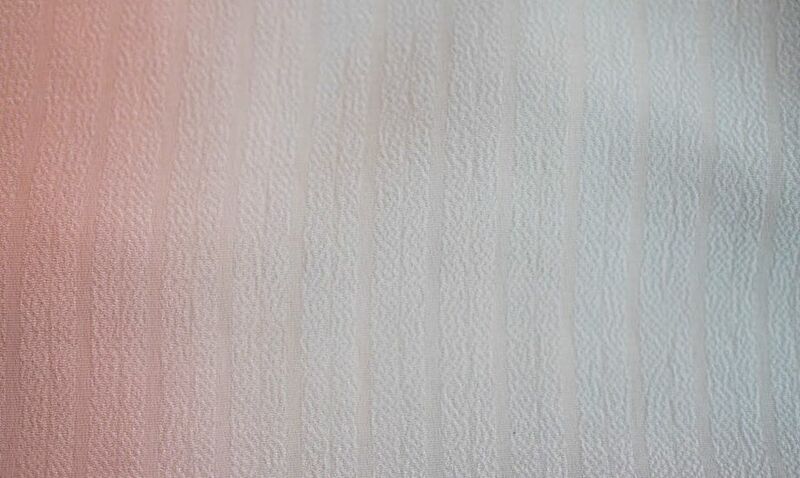 I often hear from customers that when they find a textile that they want, they are unsure of where to buy it. I want to know how we can create more alliances and work together. 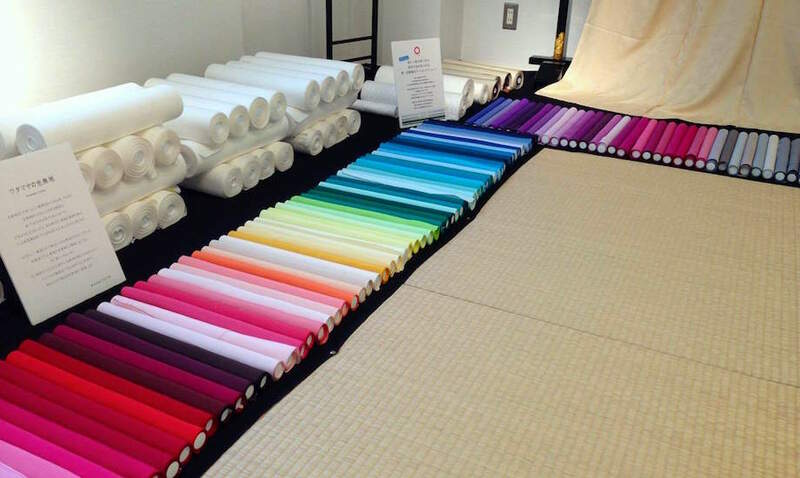 I work in the sales department of Imai Textiles. 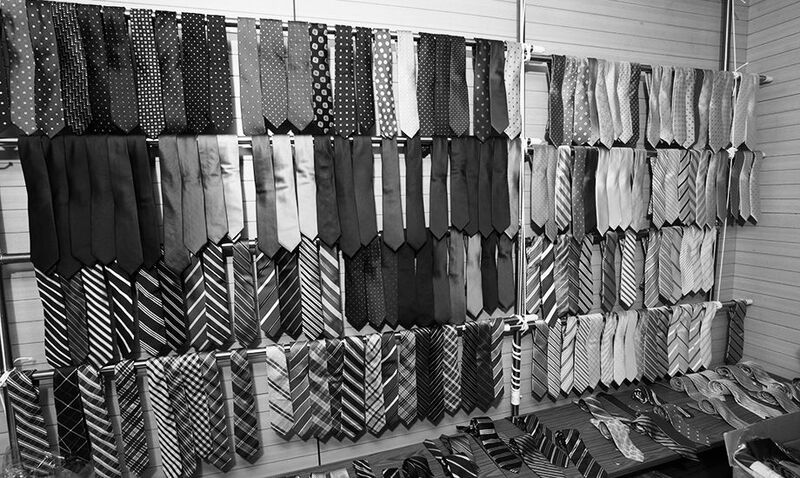 My daily duties include communicating directly with customers in person, over the phone, and via email regarding retail, wholesale and online sales. I love the fact that my job involves thinking of ways to make customers happy and satisfied. I want to get together over dinner and really talk! I think that building relationships is where it starts. Of course, I hope that everyone will come and visit us here in Yosano and I want to talk about so many things together. 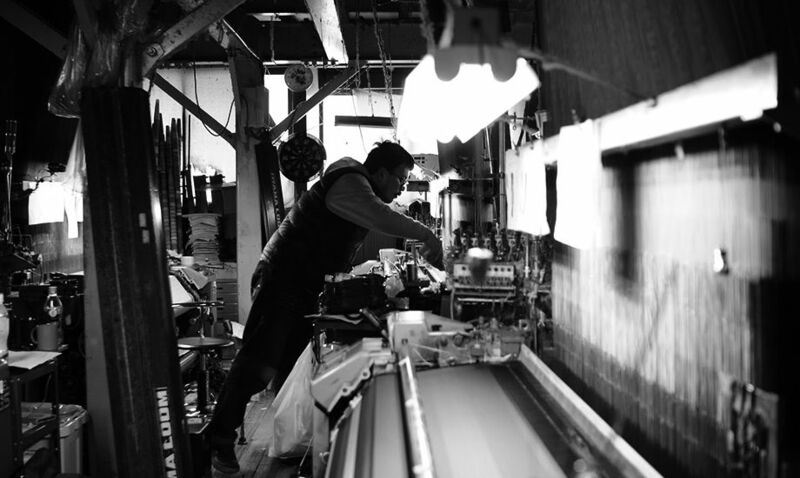 I was born in 1980 as the first-born son of Masatoshi WATANABE, the third generation of Watanabe weavers and Tango chirimen silk weaver. 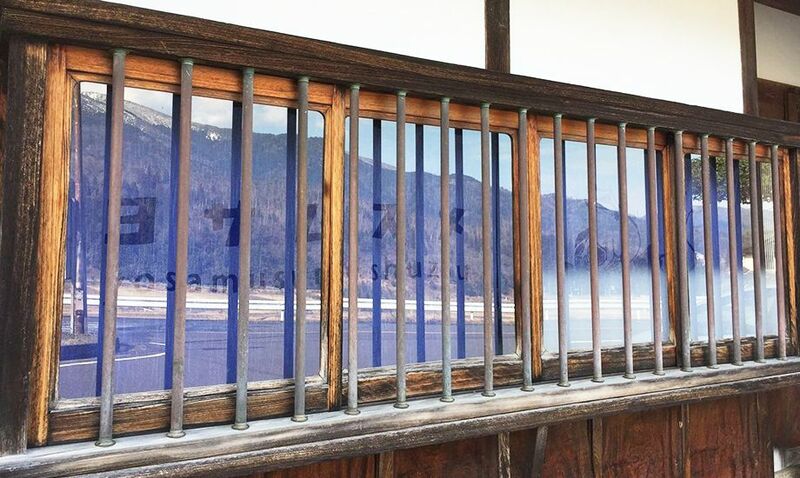 After undergoing training in Kyoto’s Muromachi, I returned to Tango at the age of 26 and began working at Watamasa Co., Ltd. I hope to develop products that leverage our strengths, as well as broaden our sales channels. I get so excited when someone asks for a certain type of woven product. I’ll try anything if I think it will work and if I think it will work, it usually does. This is the type of spirit that will help Tango survive as a production area. I’m the 2nd generation for Yuri Machinery. 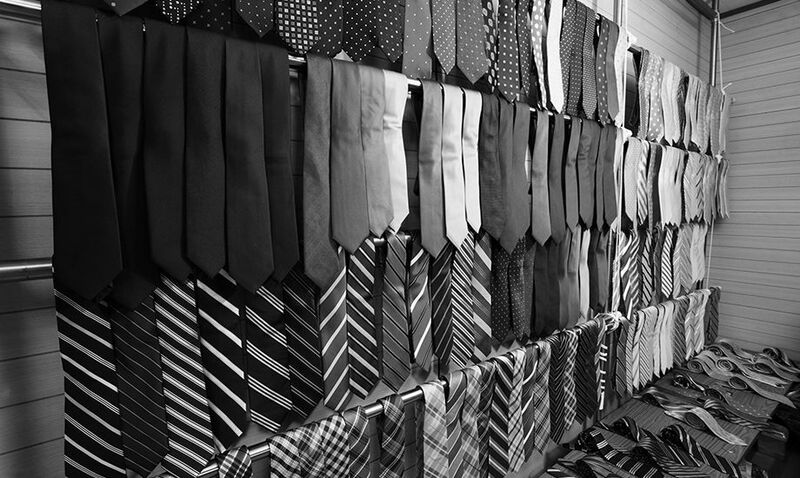 We mainly produce necktie fabric. 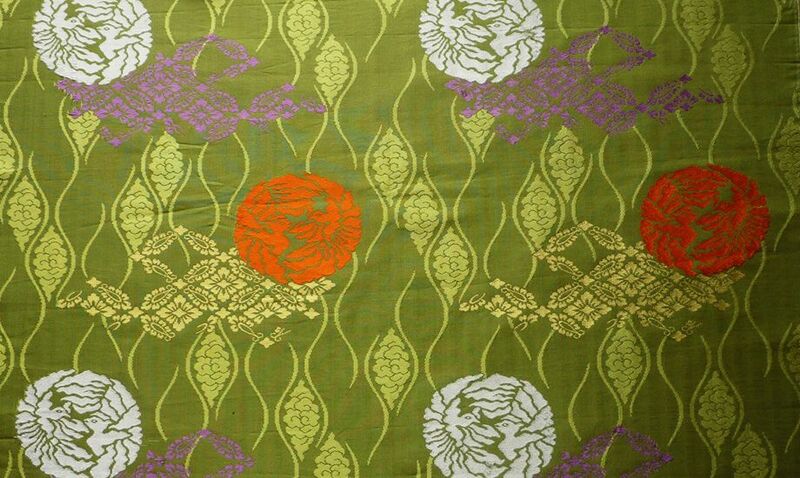 We carry jacquard silk. 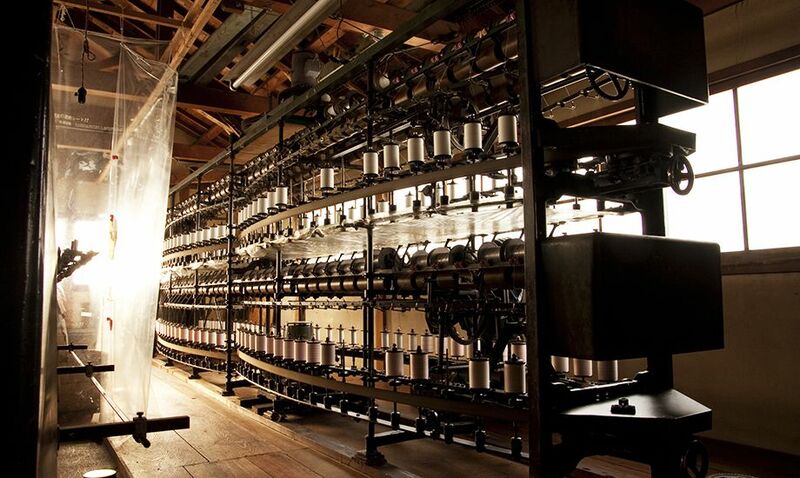 We use a whole range of threads as weft and warp threads. 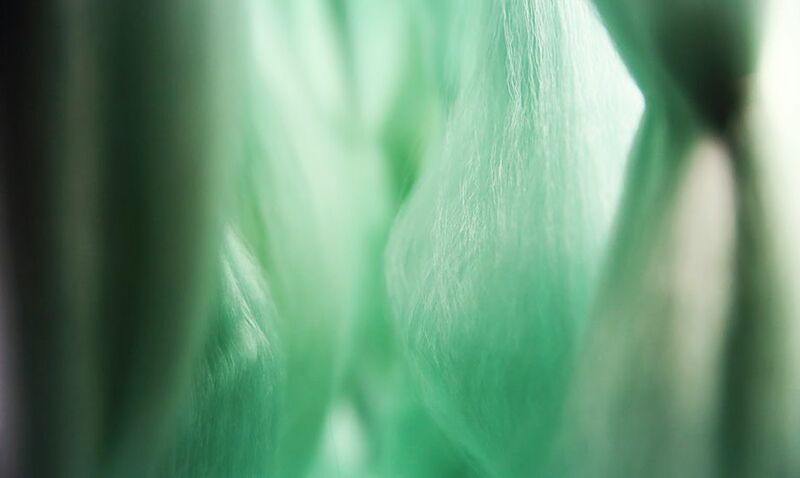 I want to further explore the possibilities of textiles. I wonder how recently established machinery workshops in other production areas will continue to grow. I would like to know how others see me and view our production area. I’m the third generation of craftsman for Takami Machinery Works.  I was certified by the Kyoto Prefectural Government as a Kyoto Certified Craftsman. 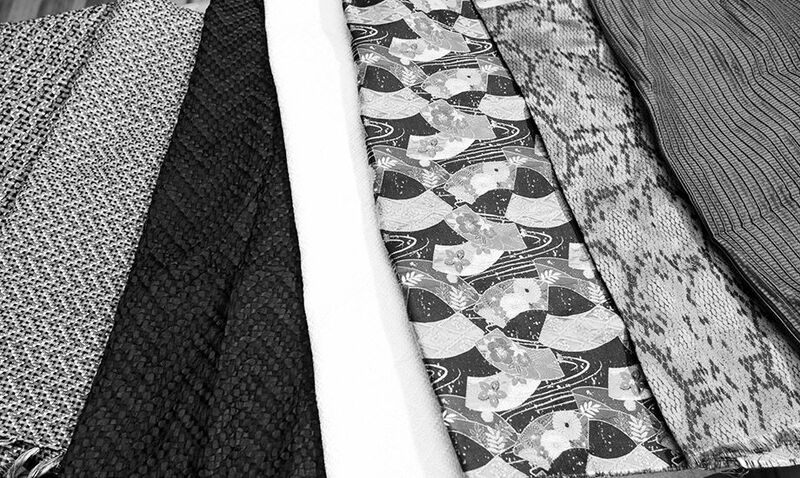 We produce white textiles for creating Japanese-style accessories such as furoshiki wraps, kimono neck-pieces and obi ties. 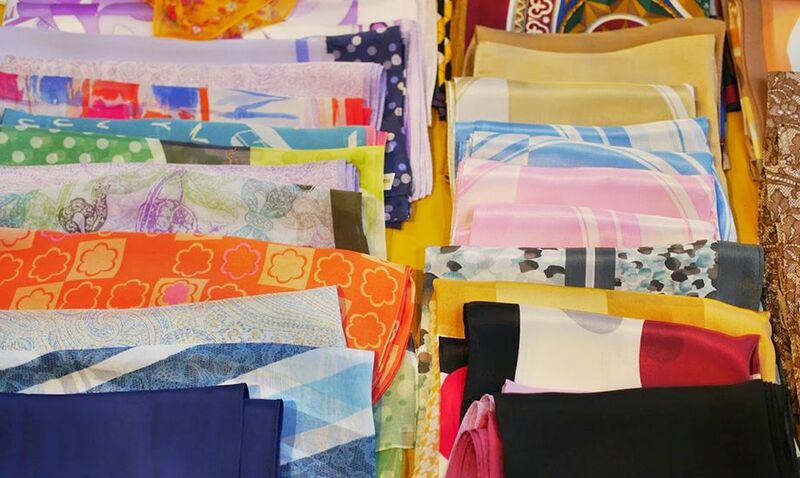 People have been attracted to silk fabrics like the famous Tango chirimen crepe silk for centuries. Yarn-related tools have been excavated from ruins dating back to the Yayoi period (300 BCE–300 CE), silk fabrics called ashiginu were presented to the courts in the Nara period (AD 710 to 794) and are still held in the Shosoin Repository in Nara where many of the imperial treasures are stored. Tango chirimen has been around for some 300 years. 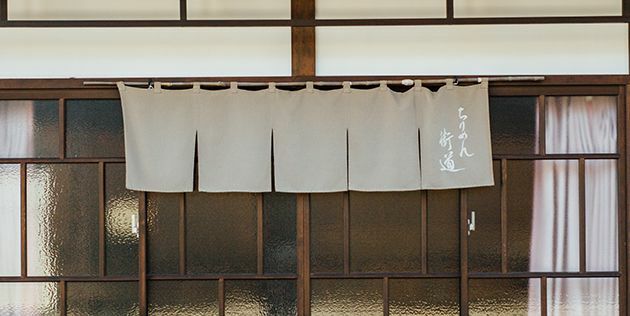 Our predecessors brought back the techniques of the trade from Kyoto Nishijin, and promptly passed it on throughout the region, where it spread rapidly as the local industry. 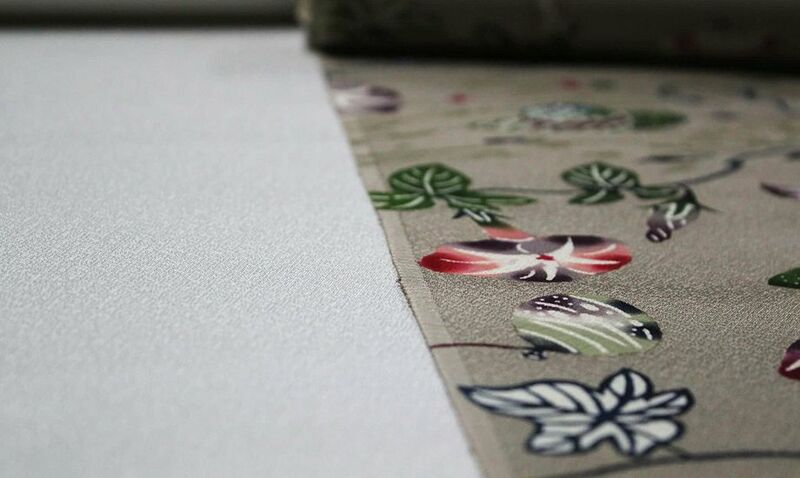 Some say that the silk textile industry blossomed due to the local landscape with its high rainfall and humidity being suitable to silk production, as well as it being a melting pot between Yamato and Izumo culture. Climate, culture, people. 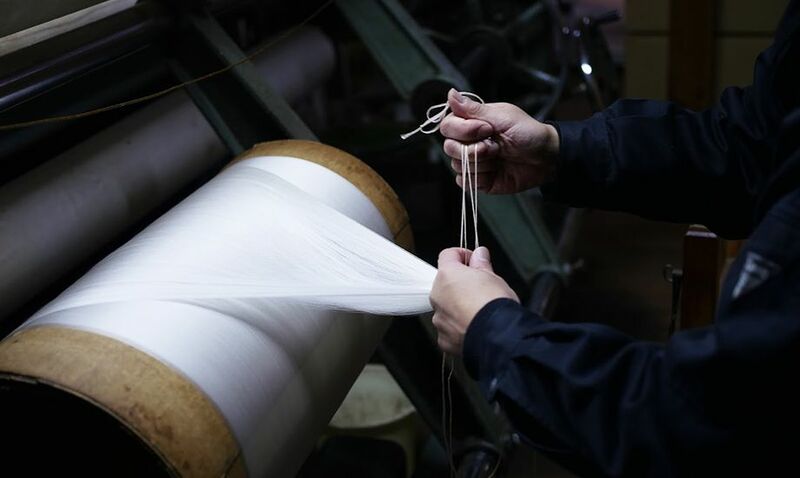 Tango’s textile industry has developed thanks to a variety of factors with production peaking in the mid-1960’s to mid-1970’s. However, currently production volume has fallen to 1/30 of previous peak levels. 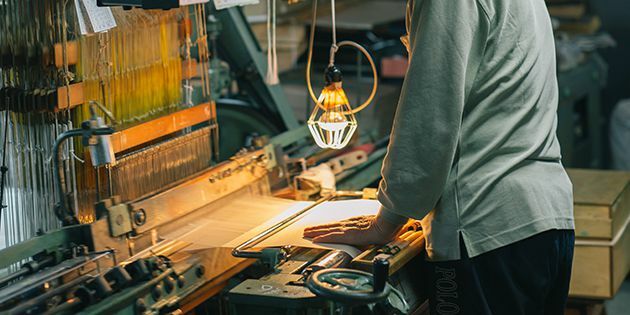 Amidst this, in recent years we are starting to see a significant shift in craftsmen’s consciousness, so as a production area, we are trying to forge new paths. ⓒ 2017 YOSANO TOWN All Rights Reserved.